The Dragon Turtle from the Chinese culture. Good choise Blizzard, keep up the good work! Dragon turtle? Well this ought to be interesting! What's up with all the dislike? The creativity of BLizzard has no limits. I know what it looks like and I REALLY want it. Really nice mount! I hope it comes in red. Can only pandas get this? This has got to be something amazing! I'm in need of a screenshot! 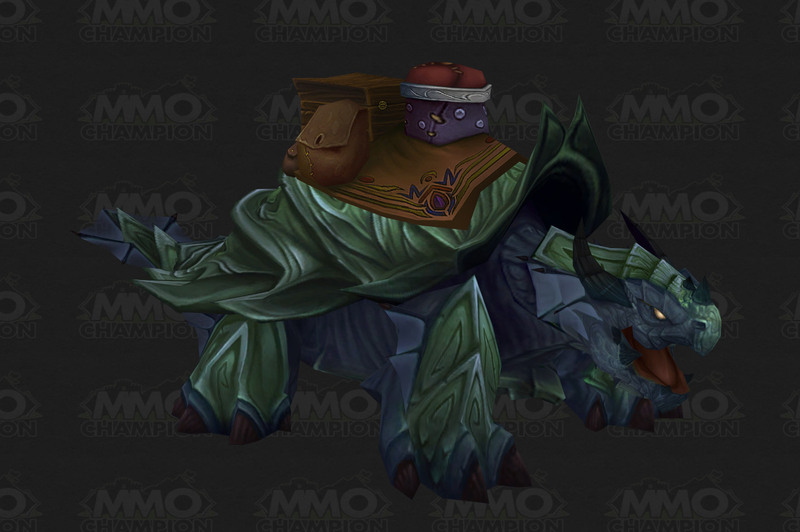 The turtle is the first mount to be shown as well as other new mounts. Here we have the picture of it. Of course, this is beta and the price could very well be a placeholder. Can this turtle fly anyway if is for artisan riding? Any answer? Racial mounts for Pandaren, available at level 20 for those who learned Apprentice Riding. Edit: Will most likely become available to other factions once you reach exalted with Pandas. New (Reins of the ----- Dragon Turtle) mounts. Each one are in different colors. Alliance: Can be bought in Stormwind at the Pandaren Camp. is the vendor on horde side bugged? im on area 52 and the dragon turtle vendor only sell a tabard. do i need to be exalted or something? You can only buy this mount if your character is a Panda but will be available to your others through you Blizzard account if you any. "Большинство коренных жителей Пандарии предпочитают ездить на этих крепких зверях из-за их размеренной походки и высокой грузоподъемности."